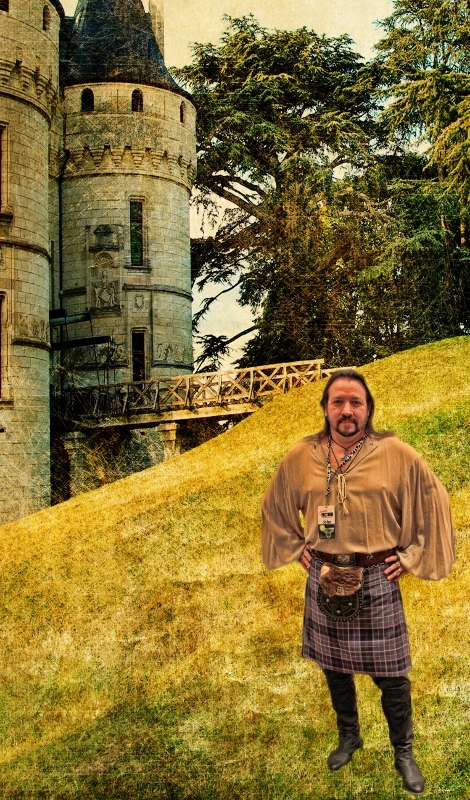 I took this picture of John Wilson, who plays with a Celtic band and has a paranormal investigation service, was a guest, along with his wife, who sat at my dinner table at the Readers and Ritas this past weekend. Now, in the original picture, he was standing by a bunch of raffle baskets. How boring is that? 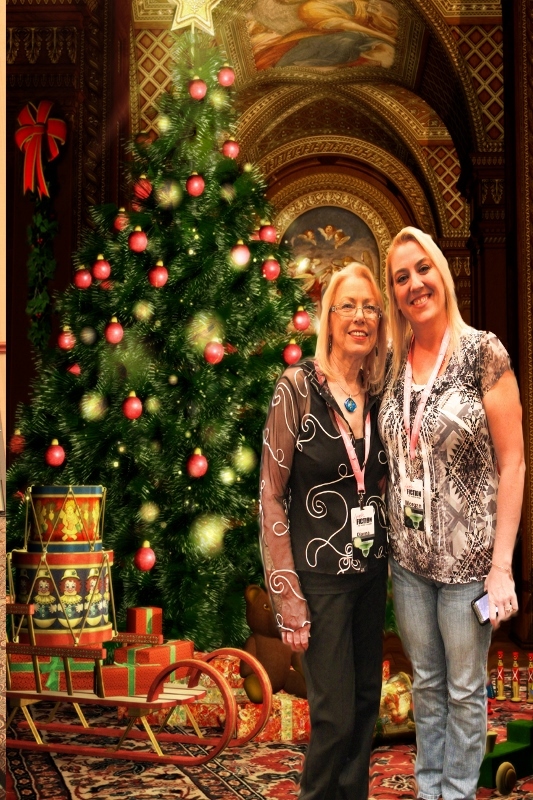 And Dianna Love and Morgan Fox, both authors, needed their own lovely Christmas setting, I thought. Before this, it was the ball room set up for dinner. On two big book deadlines so enough playing around, but wait, then there’s Kimmi Wakefield and me in a boring hotel hallway. So some quick photoshop fun. Not the best, but really have to get back to book deadlines, but I wanted to “improve” the settings… and so there you have it! Ever take a great fun picture and hate the background?? ?